In response to claims made in an IGN Podcast, Nintendo has issued a statement denying restrictions on the WiiWare downloadable content system. IGN claimed that Nintendo imposed a 40MB limit on file size for third-party WiiWare titles, that they created a one-release-per-month limit for the games, and that developers would set their own prices. Nintendo responded in a statement to Eurogamer, telling the website that the company sets no size limit on WiiWare games, but they "encourage smaller, more compact games." They are also "contemplating" a one-release limit in order to keep titles flowing at an even pace. (as we've seen with VC titles) Nintendo gave a vague answer on the question of prices, stating that they have not announced information on pricing, but that their goal is to release "fresh, new content at a low price." Luckily, there is no size limit on WiiWare games. With the right amount of freedom, Nintendo may soon start to see truly unique independent games. Maybe they'll even see something similar to Microsoft's XBLA or Sony's PSN (albeit smaller in scope). The release limit makes sense, and there should be no reason for anyone to get angry about it. If Nintendo allowed games to be released however developers wanted, it would result in haphazard timing and droughts in releases. 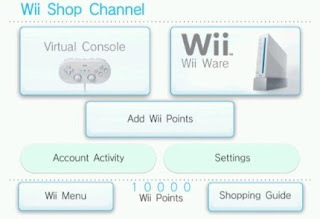 Plus, gamers would have trouble determining when new games are being released and when to check the Wii Shop for new ones.